An exclusive interview with Lucy Pringle on her 20-year research on crop circles. She reveals the nature of her work and the experience of crop circles, sacred geometry and vibrations. Recent research in NIR (Near Infra Red) revealed a marked increase in the protein content in grain taken from inside a crop formation. She works with scientists from all over the world. She also writes, appears on TV and broadcasts extensively on the crop circle phenomenon. She has been a guest on BBC and Meridian Television and The Big Breakfast Show. The BBC has recently produced a programme on her research which was shown on Inside Out. She has also appeared on many US programmes including William Gazecki's 'Quest for Truth', The Discovery, Learning and History Channels, and TV programmes in Germany, Japan, France, Italy, Spain, Slovenia, Mexico and Canada. She was a guest on Libby Purvis's Mid-Week programme on Radio 4 and the BBC World Service. She is also an aerial photographer and had an exhibition of her work in 2002 at The Independent Photographer's Gallery in Battle, Sussex, which was nominated the Sunday Telegraph's Art Critics Choice. Denbighshire County Council is also hosting a travelling exhibition of her work. She has the UK's most comprehensive photographic crop circle library. 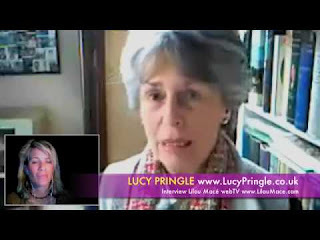 She is a Founder Member and Chairman of UNEX (Unexplained Phenomena Research Society). She lectures at home and internationally, including the Darwin Society at Christ's College, Cambridge, the Scientific Exploration Society, The College of Psychic Studies and Alternatives, London. 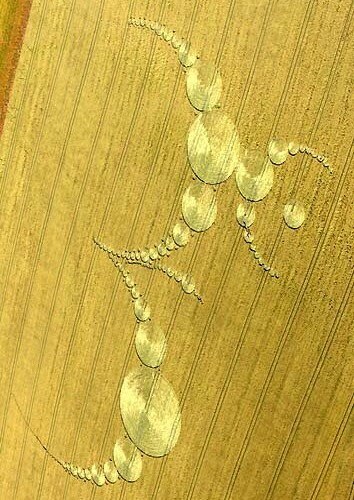 She is a contributor to The Crop Circle Enigma, Crop Circles; Harbingers of World Change and Und Wieder Kornkreise. She has contributed articles to a number of magazines including, Kindred Spirit, The Cerealogist, Caduceus, The Circular, The P.S.I. Researcher, A Quest for Knowledge, the Journal of The British Society of Dowsers and many others. Her first two books Crop Circles, the Greatest Mystery of Modern Times, a highly illustrated and penetrating investigation into the subject, was published by Thorsons, Harper Collins in September 1999 and Crop Circles, published in 2002 by Pitkin Press are both best sellers on the subject. Her third book, Crop Circles, Art in the Landscape, a widely acclaimed and stunningly beautiful anthology of the subject, published by Frances Lincoln is due in the shops in May 2007. She has published a book of cartoons Paranormal Pranks drawn by Peter Eade. This book is A4 format and is perfect as a gift to fit into your pocket. She is a member of The British Society of Dowsers. She lives in Hampshire and in 1995 and 2005 completed lectures in the States and Canada which was enthusiastically received. She appeared on Warner Television and in New York and Canadian Television in Toronto. Crop Circles: Where Divinity has touched the Earth ? Freddy Silva's "Stairways To Heaven : The Practical Magic Of Sacred Space"